I have always had a love affair with chalk paint. That vintage, antique, french cottage shabby chic vibe. You know what I'm talking about. I finally broke down and bought a can of Valspar chalk paint. The can seemed quite small and I was very skeptical. Once I started painting though, I fell even more in love with the idea of painting away my house so that I could imagine I lived in a french cottage in the countryside. I painted our dresser, 2 end tables, and the legs of our kitchen table. Luckily I finally ran out of paint, or I would have kept painting our entire house! 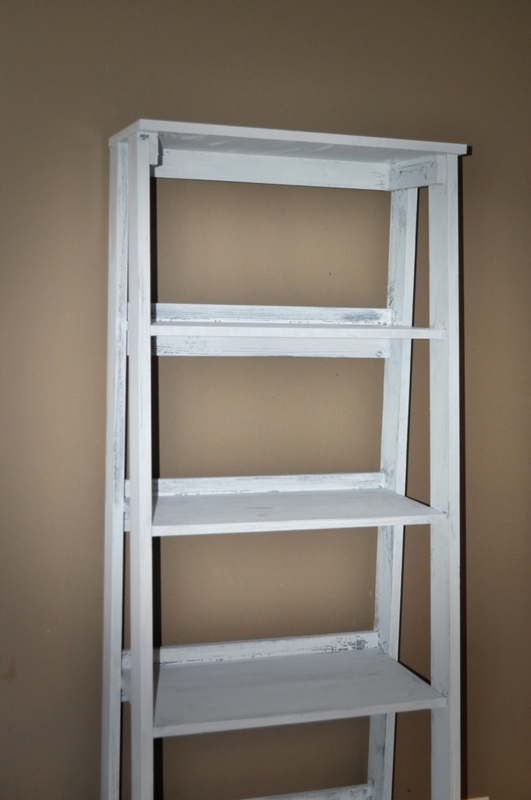 I loved painting, sanding, and creating a new look to update our tired, dark furniture. If you like this look but have been hesitant to try it....wait no longer. It's so much fun. I didn't do a perfect job, but it sure was fun and I'm proud of the things I've done on my own to update our home. The kids helped a bit too, which always makes it more special.